This is the UAP plus & also Kinetica anti snap break euro cylinder lock which has built in anti bump pin facilitys. 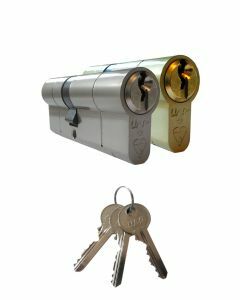 This range of door cylinders achieve the prestigious Secured By Design Certification which increase protection against cylinder snapping and bumping. 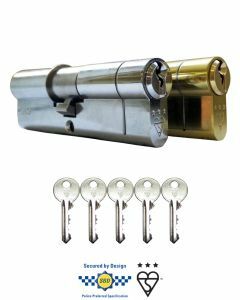 Secured by Design is the only form of national police accreditation for security products, supporting one of the government's key planning objectives, Supplied with 3 keys per cylinder. 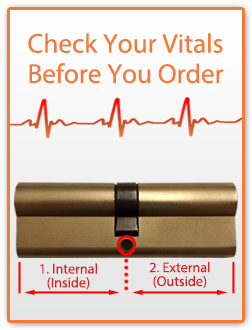 The cylinders are stamped with the BSI kitemark to show any knowlegable would be intruder that this is a security door lock cylinder before they even make an attempt.